Hi friends! I am SO excited to have some time to start blogging again! I am officially done with my Revelation Wellness® instructor training(blog post to come on that soon)! I have so much to share with you about what God is doing in my life in regards to fitness. There will be many new and exciting resources that will be coming your way in 2016...so stay tuned! 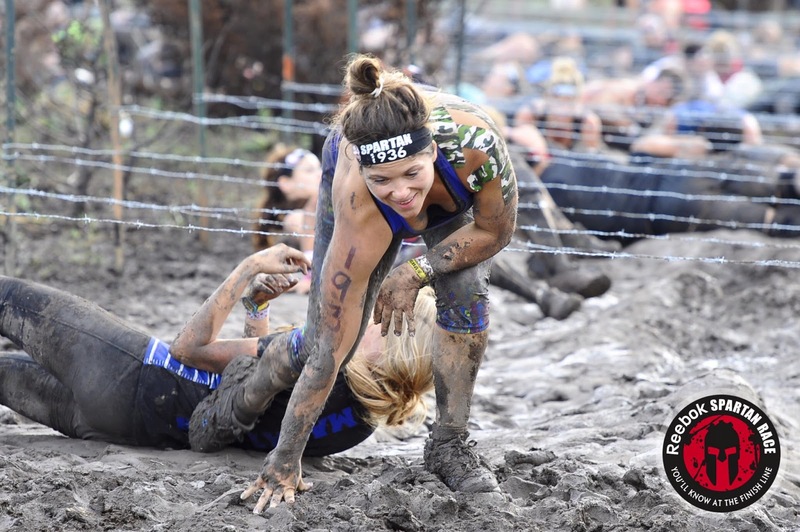 But before I do that I have to recap our Spartan Beast! 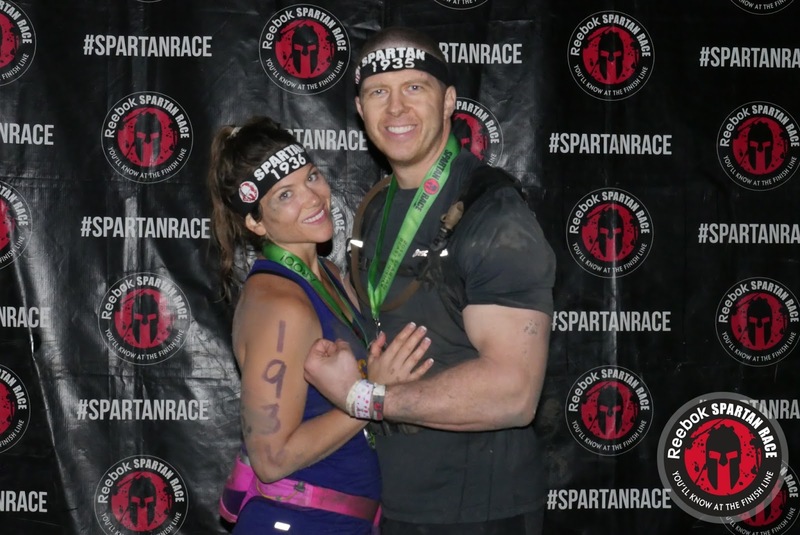 If you have followed me for long you know that last year I signed me and my husband up for the Spartan Sprint. We loved it so much that my husband talked me in to doing a Spartan Beast. What is the difference? Oh you know, just an extra 10 miles and lots of extra obstacles and burpees. So, being the brave little wife that I am, said yes. There is absolutely no way to fit all the information from our training, to race day to during the race into a blog post without it turning into a book so I will do my best to highlight the key points. One of the main things I knew I needed to work on for my training was long distance running. I have always been one to run 3 miles or less because I considered myself "not a runner". But what I learned from this experience is that you really can train your body to do anything. Did I start out running 12 miles? No. In fact, I remember the day I ran 7 miles I thought it was a huge deal. Then I ran 8. Then 9. Then 10. Now any run less than 5 miles feels like a short run. I used a basic half marathon training program I found on Hal Higdon. This Spartan race attire was extra special for me. My dear friend, mentor and Pastor Jan Greenwood recently discovered her cancer had returned and the Lord immediately gave her the words "Square Up". I won't do the meaning of those words justice so head over to Jan's blog to read it for yourself: Square Up. A few notes about my gear: I chose the fanny pack hydration pack because I don't like things on my shoulders like the camelbacks. This was my first time using gloves and there were a few obstacles they were nice to have. Because it was a long race the Surge packs were a lifesaver. And my cute capris are from Fabletics. For me, driving to the race feels much like a roller coaster. You've already been strapped in and as you creep up that first hill you desperately want off but too late...the only way off is to ride it. Then after it's over you're like "that was awesome, let's do it again!". The part of the race we weren't planning on was the 2.5 mile hike IN to the starting line. Because it had rained the day before there was a lot of flooding so we had to park really far out. I had to quote a lot of scripture and pray to keep my mind right on that part of the journey. We FINALLY made it in to our race! It's really hard to write details about the race itself because, to be honest, most of it is a blur. 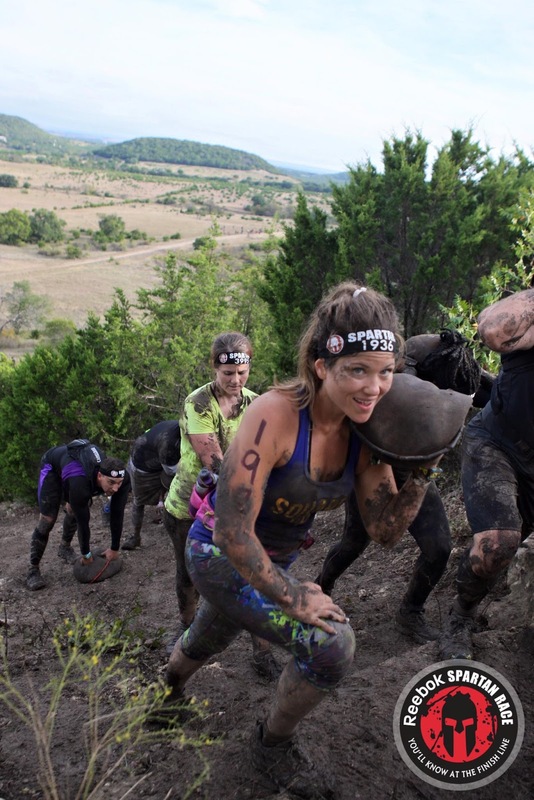 There is so much adrenaline pumping and camaraderie that for most of the race you don't realize that you have mud in places not appropriate to blog about and muscles are hurting that you didn't know existed. But this race was very different because it was MUDDY. Most of them are muddy in certain areas but because of the rain every single step was nothing but mud. The hardest part was picking your foot up off the ground to try to run and jump. It slowed us down big time. 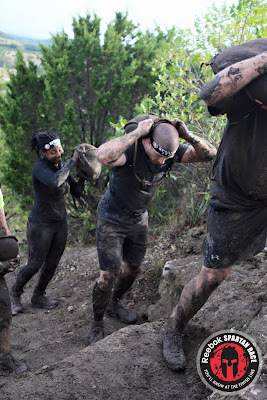 Some of the obstacles this race had were walls to jump over(which for me looks like me jumping up on my husbands knee so he can hurl me over), monkey bars on steroids, lots of hills, fill a bucket with rocks and carry it up and down a hill, sandbag carry up and down a hill, barbwire crawls, spear throw, american ninja contraption, rope climb, sled pulls, slanted & weight wall climbs, dunk wall, atlas ball carry & drop with burpees, pole balance walks and of course the fire jump. This is just to name a few. Since you do 30 burpees for every obstacle you fail I did 90 burpees. One of my favorite parts about the Spartan races are the pictures they capture. I love getting to reflect on it after when the blood has returned to my brain. These are keepsakes for sure. This next set of pictures is from the dunk wall. All you do is swim out and under that wall but when the water is freezing it's not very fun. The first picture is our victory hands then I realize I can't touch and yell for Matt to save me. Yes I can swim but it's hard to with mud in your shoes! For some reason I put my arms in the air every time at the fire jump. :) And our last picture...the victory pose! 1. 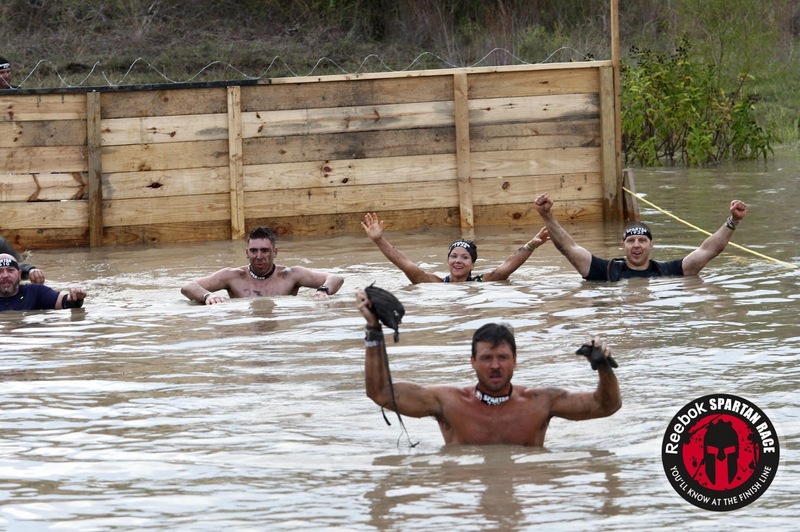 What was the hardest obstacle? 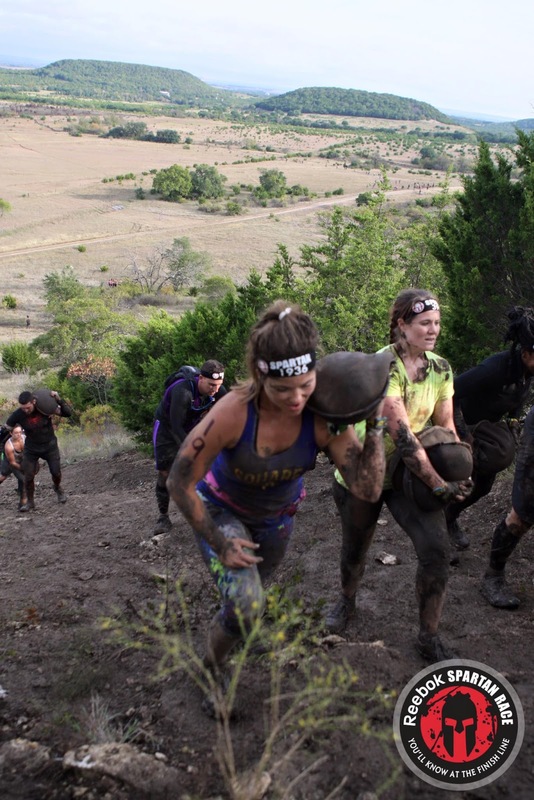 Rach: The hardest obstacle for me was definitely the atlas ball carry. 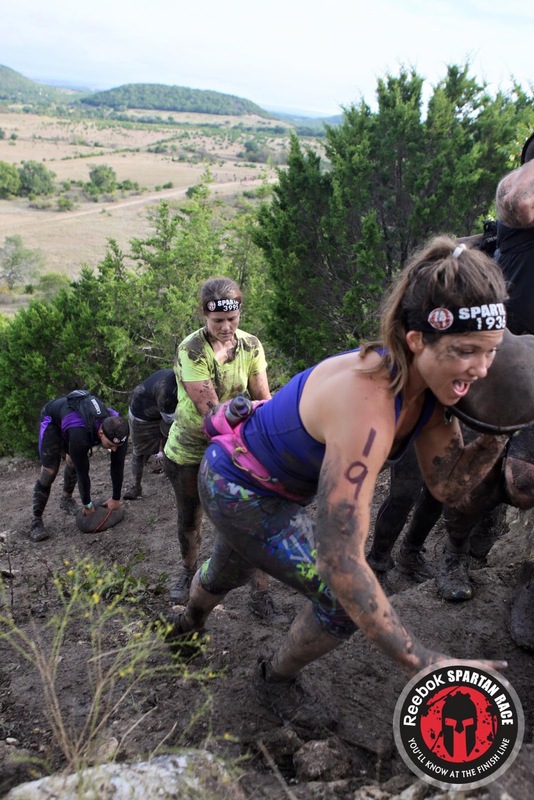 I believe the women's ball was 50 pounds but it felt like 100 because it was STUCK in the mud. When I did finally get it picked up I had to carry it down to the other end, drop it to do 5 burpees then carry it back. On the way back I fell backwards and it landed on my ankle. I honestly thought for a moment I had broken my ankle but it turned out to be a bruise. Matt: Not being able to eat for 4 hours. After that would be the gravel filled bucket carry up the hill. 2. 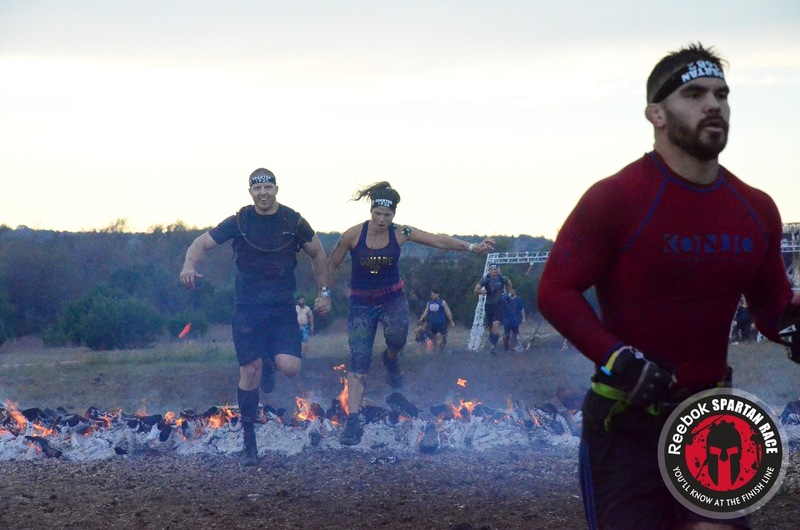 What was the first and last obstacle? 3. 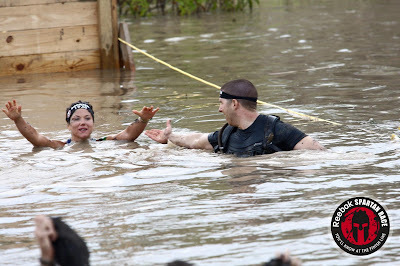 What was your motivation for doing the race? Rach: I love a new challenge. And the fact that my husband wanted me to do it with him made it like an adventure we were on together. It brought us really close. 4. Was there any point during the training or race that you wanted to quit? Rach: There was only once that I got worried I would have to quit training when I injured my foot on my first 11 mile run. I had to stop running for a few weeks which set me back but as soon as it was better I got back to it. I never wanted to quit during the race. Even with every muscle hurting in my body it felt so good to accomplish something like this with my husband. Matt: No. How are you going to quit during the race? I mean, you are out in the middle of nowhere. That's why I like it. I liked getting out of the clinic and having a mission to accomplish.